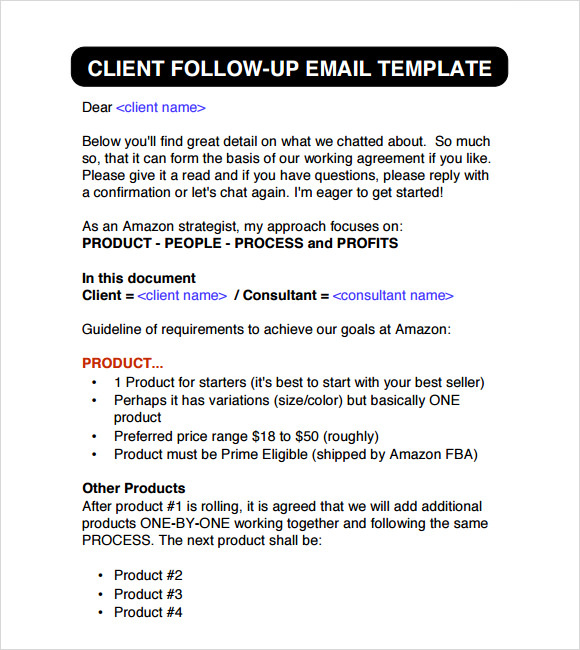 The purpose of a Follow Up Email Templates is to check or validate regarding a message sent to the sender or to the recipients. 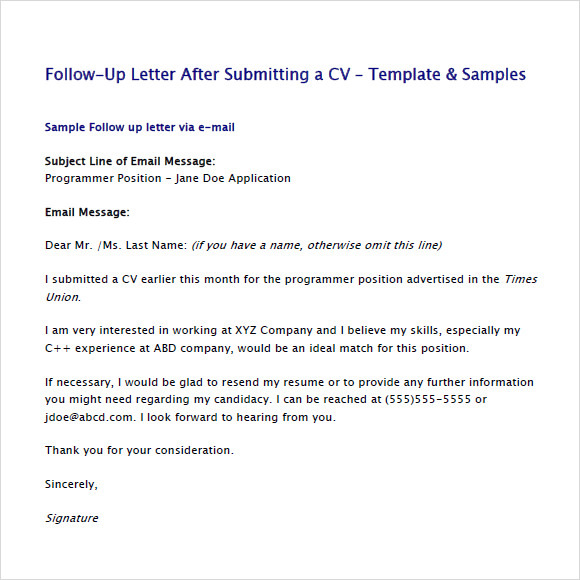 An online letter scheme that promotes exchange of communication to the sender and recipient regarding a topic or issue to be able to resolve it in the shortest time as possible; it is one feature of an email to clarify something that is vague or to certify something about a sent message. The example template can be downloaded for the purpose of having the appropriate format when replying to a message or information. Follow up email encourages comprehension to the sender and recipient so it is better to make it a protocol when validating a message. 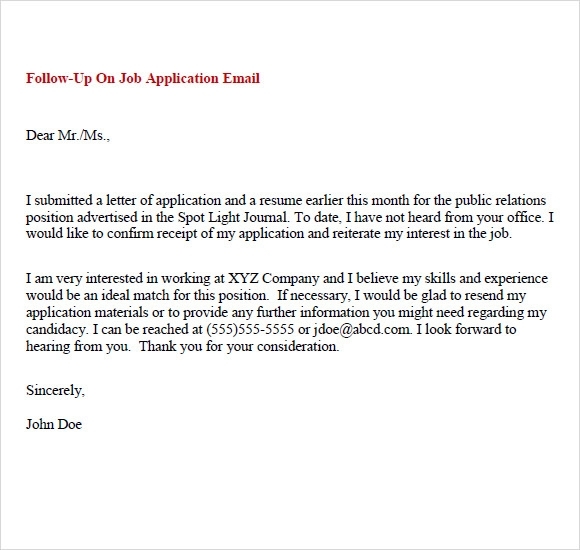 This sample of follow up E-mail is regarding a follow up letter for a job application process. The style is simple and direct. It starts by introducing the topic and the last date of correspondence from the company. In the second paragraph, the writer speaks about the various reasons which he thinks would make him a suitable candidate for the position. The time period after the end of the interview is a rather anxious one. In order is meant for all those impatient job seekers. 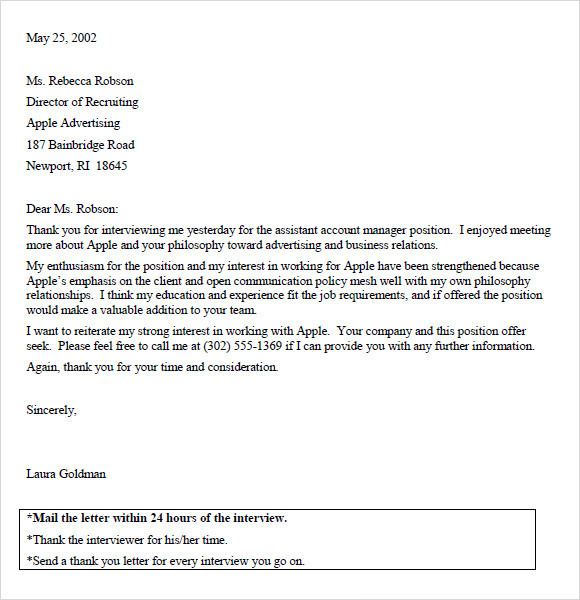 This template begins with a subject line and expresses gratitude and pleasure for having met the interviewers. It then proceeds to express his strong intension to join the team with the hope that his skill sets would help the company in every possible way. This sample of follow up email is yet another example dealing with the topic of follow up for the position of a programmer. The template begins by expressing a keen desire of working in the company and also lists down his various skill set, which he thinks would be beneficial for the company. 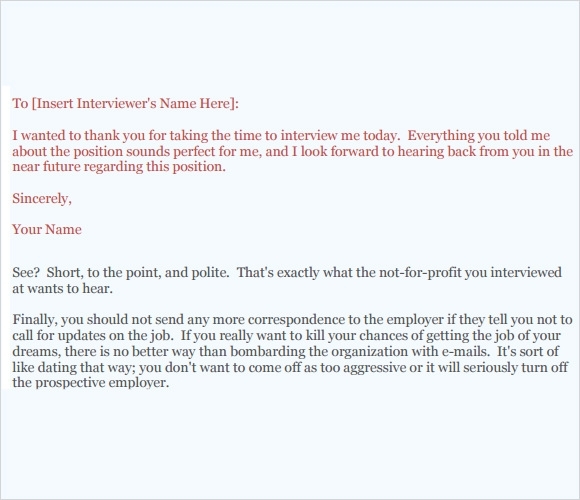 The sample ends on a positive where the perspective employee writes his ph number and offers to resend his CV if it got replaced at home. What Are The Steps Of Writing A Follow Up Email? Emphasize on the fact they have not responded to your request. Do not send a follow up email the day after the original proposal or mail is sent. The best time to send a follow up email is at a gap of 4-7 days. How To Avoid Some Of The Common Mistakes Which Makes A Follow Up Email Terrible? Do not begin with a completely generic opening which has no personalization of relationship between the reader the sender. The email is only for the purpose of checking-in and has no real value to offer. Lastly it has a very generic call to action line rather than providing any idea about the next steps. Writing a follow up email is an art in professional writing. 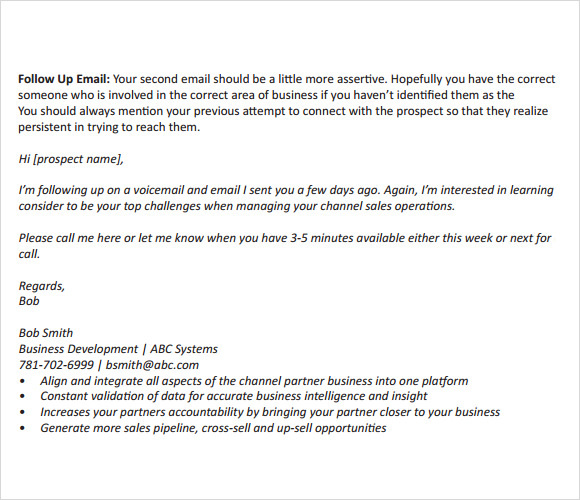 The above given examples would guide you to write a follow up email without being too pushy or sounding too desperate. If you want to save some time, you can just download one of our samples and use them with minor changes.